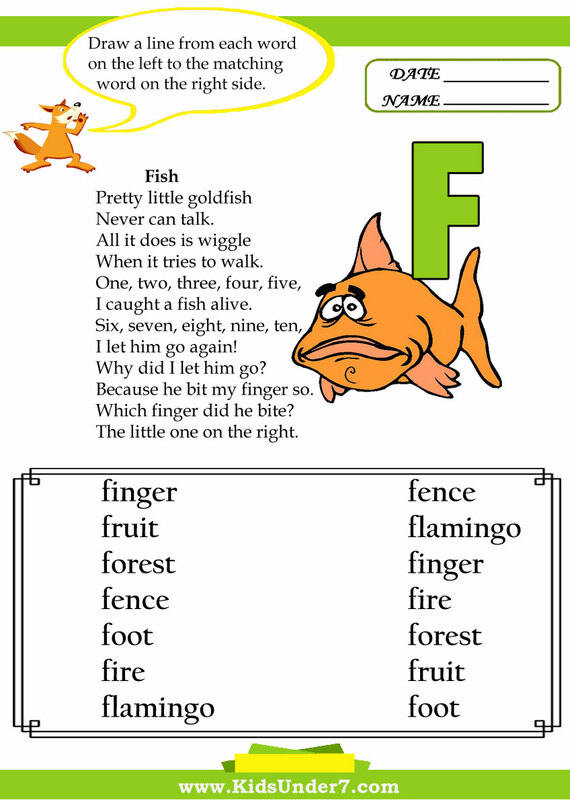 1.F is for Fish. Practice tracing curved dashed lines. 2. 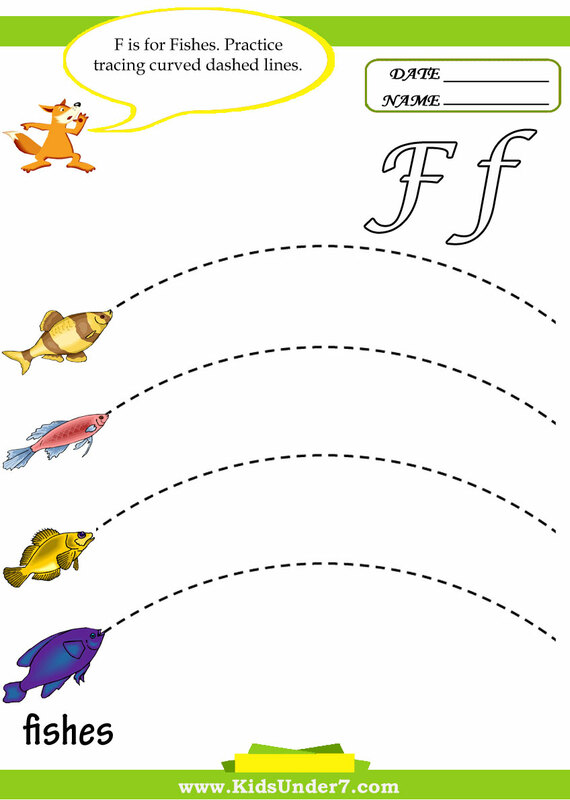 F is for Fishes. 3. 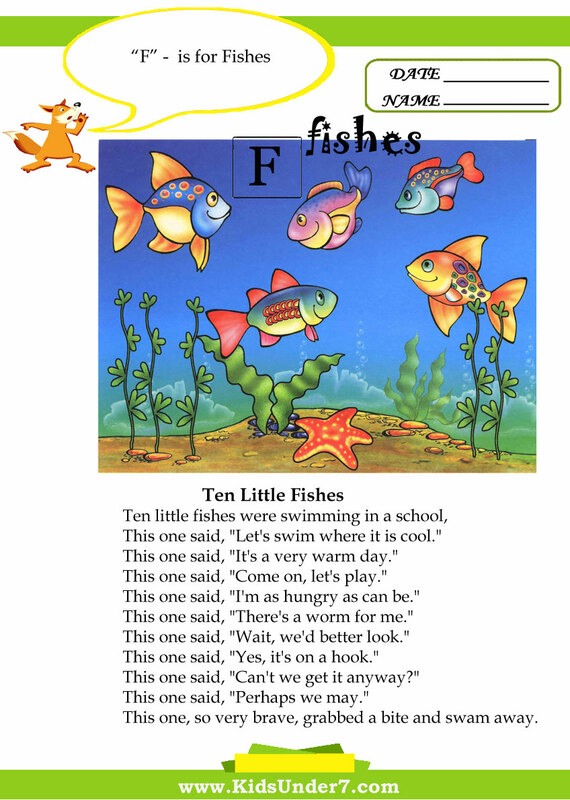 Fish Rhyme. Draw a line from each word on the left to the matching word on the right side. 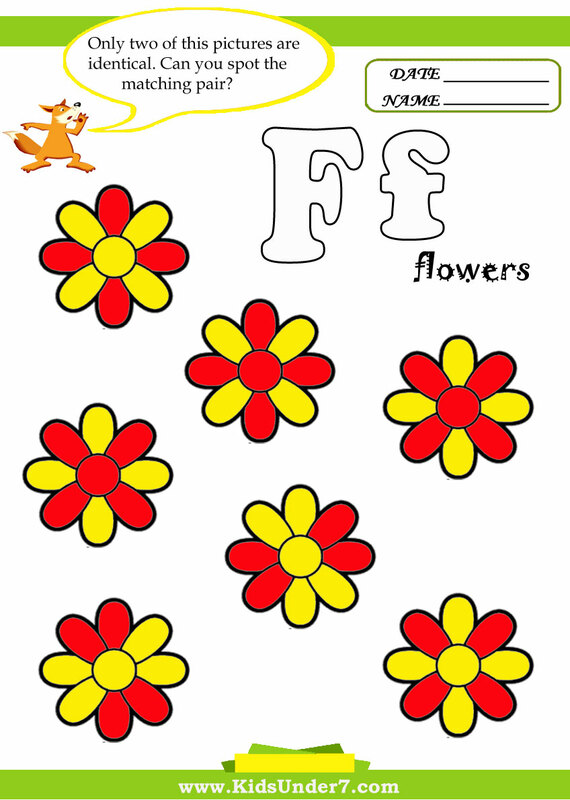 4.Find and circle two identical flowers. 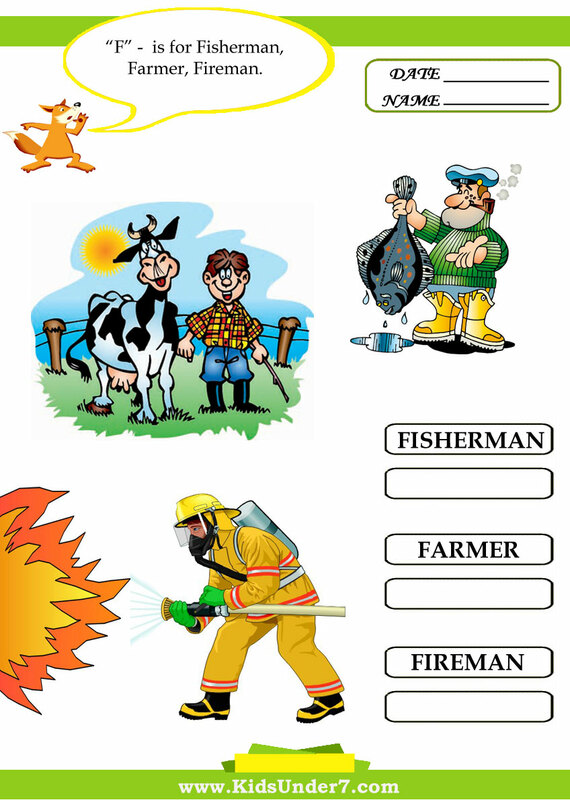 5.F is for Fisherman, Farmer and Fireman. 6.Follow the lines with your pencil. 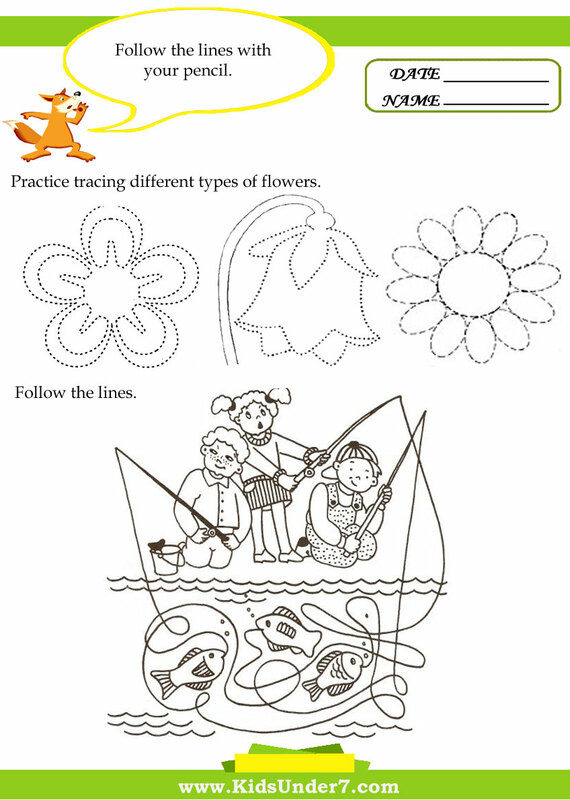 7.Trace and colorthe flower. Circle the picture that comes first. 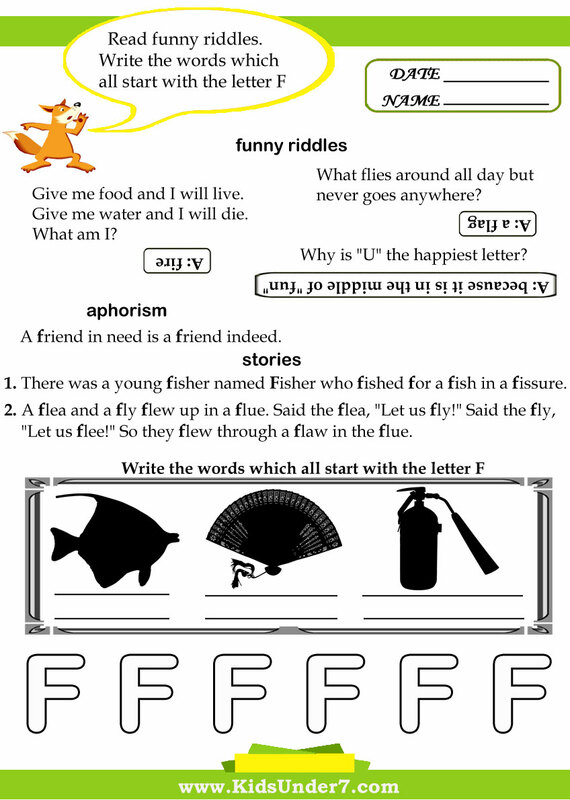 8.Read funny riddles.Write the words which all start with the letter F.
9.Write the letter F. Draw a circle around each letter F.
10.F is for Fishes and Flowers. Circle the picture that comes first. 11. Follows the lines with your pencil. 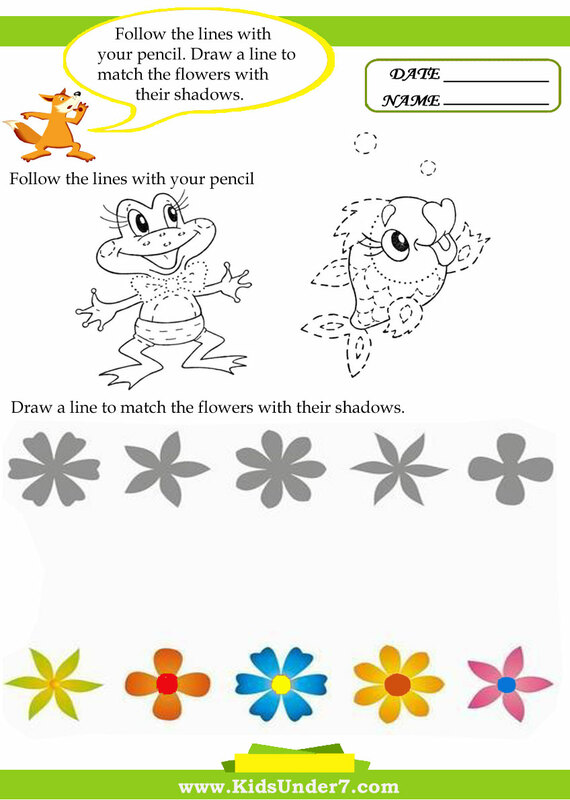 Draw a line to match the flowers with their shadows. 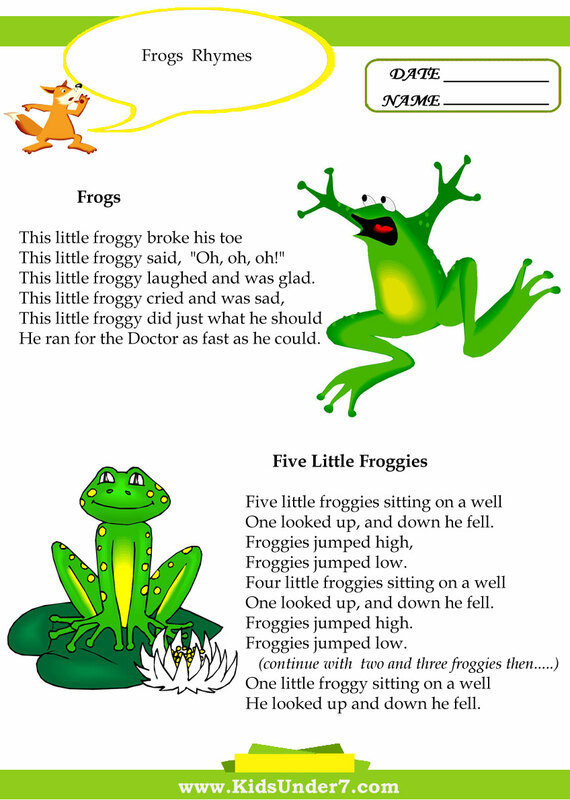 This little froggy said, "Oh, oh, oh!" This little froggy laughed and was glad. To come back to me! One looked up, and down he fell. He looked up and down he fell. 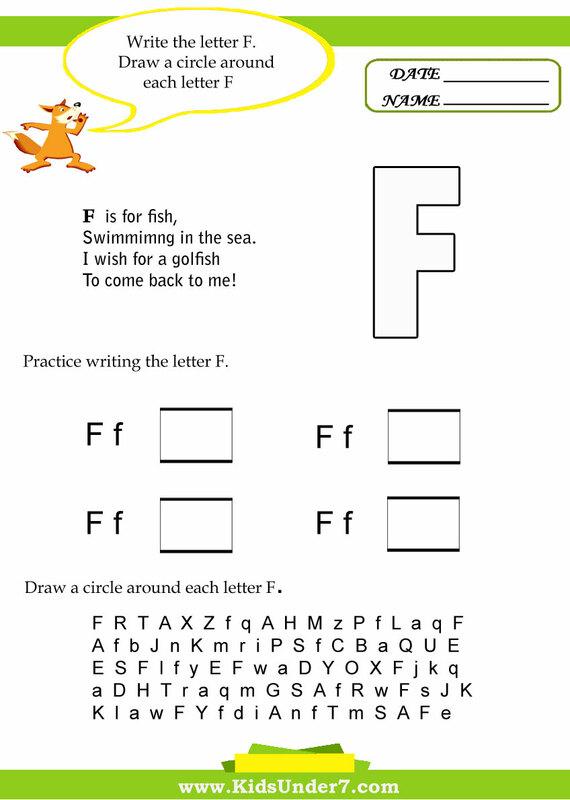 Ask preschool children to perform these actions as they have fun with subtracting numbers. Eating the most delicious bugs...yum, yum. Eating the most delicious bugs...yum,yum. No one was ever so happy as me." 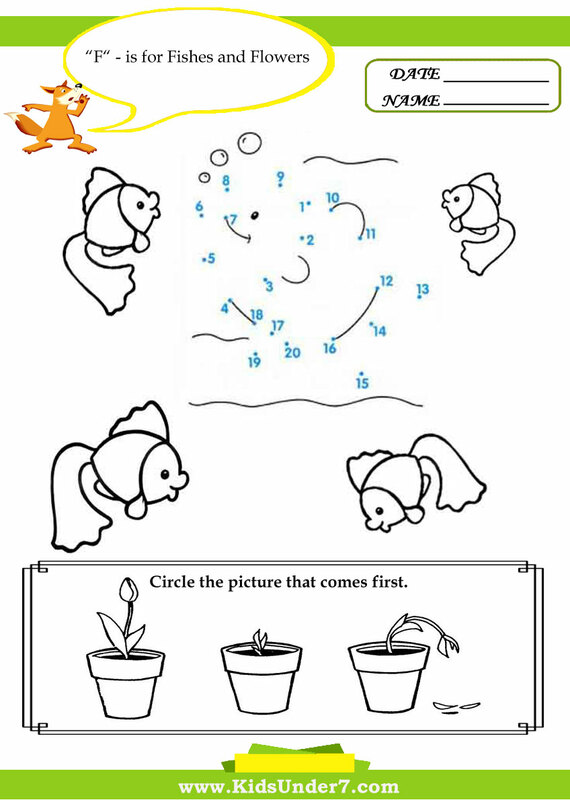 For this fingerplay first make swimming motions with both hands then hold up one hand and wiggle a different finger as each line is said. 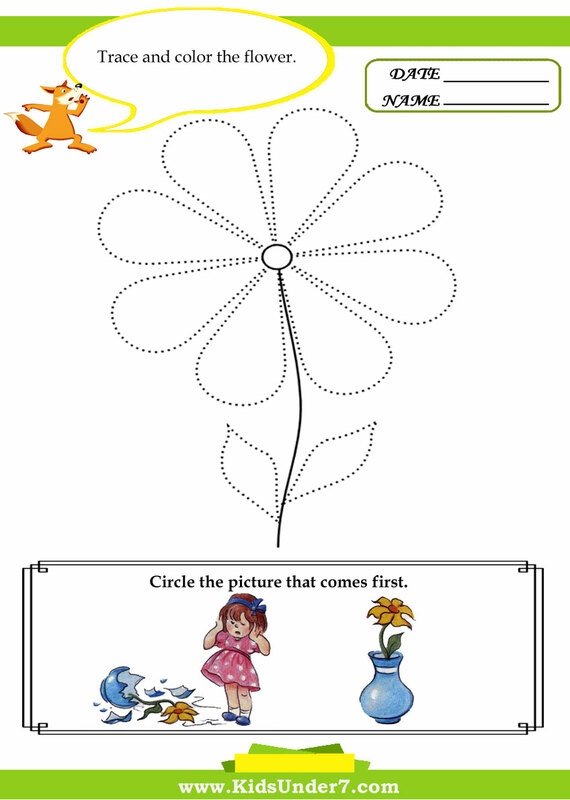 Preschoolers hold up ten fingers and then make swimming motions with their hands. For the rest of the lines, wiggle each finger in turn. This one said, "Let's swim where it is cool." This one said, "It's a very warm day." This one said, "Come on, let's play." This one said, "I'm as hungry as can be." This one said, "There's a worm for me." This one said, "Wait, we'd better look." This one said, "Yes, it's on a hook." This one said, "Can't we get it anyway?" This one said, "Perhaps we may." This one, so very brave, grabbed a bite and swam away. Johnnie eats them like a man. Answer: because it is in the middle of "fun".